This is my entry for this month's whiplash competition, category deconstruct/reconstruct. 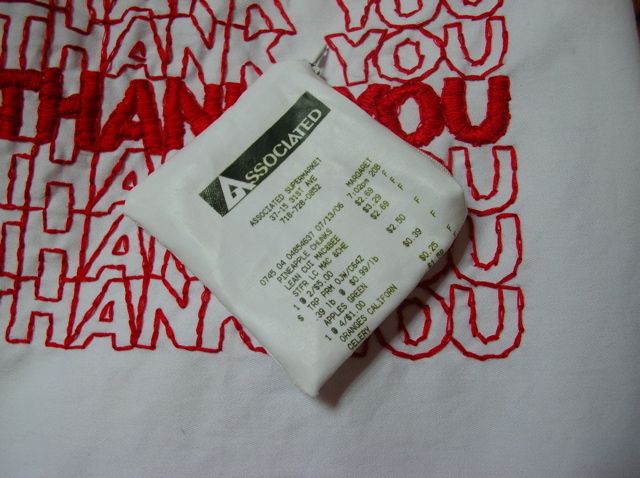 I bought an oversize men's dress shirt (not Jenny sized) from the thrift store for $6. 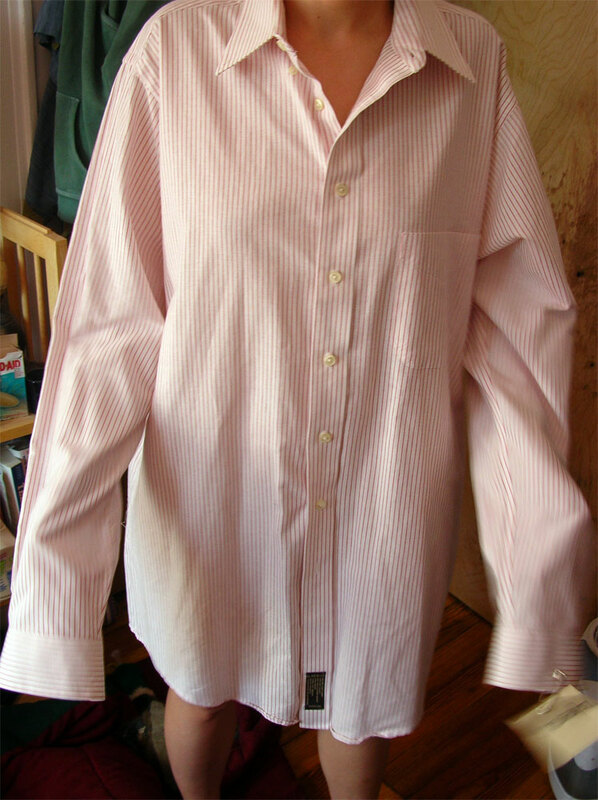 I removed the pocket and sleeves and made new side seams to fit Jenny. I created new armholes and recut the old sleeves and cuffs to make neat short sleeves. 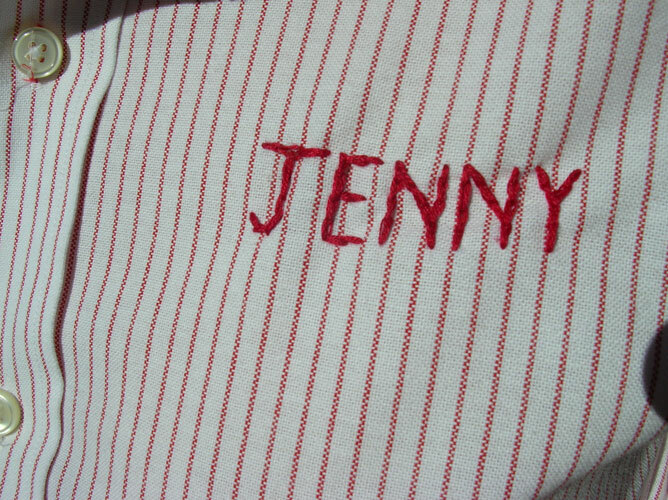 I embroidered Jenny's name on the left side. Then we tried different ribbons and old ties to complete the look. Outside pics turned out much better than inside pics. Voila. 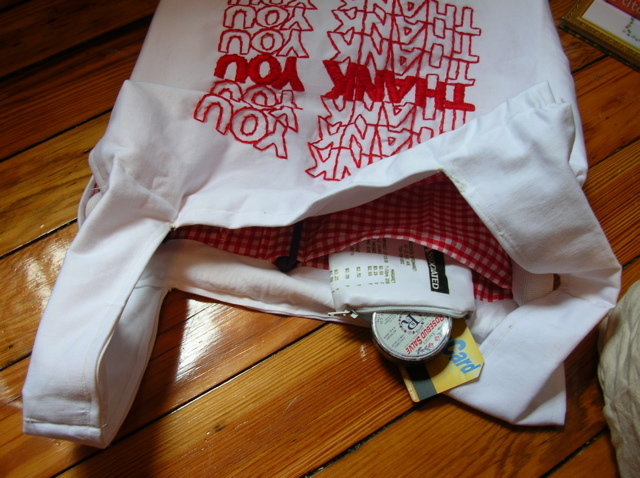 Fancy personalized shirt dress from giant men's dress shirt. 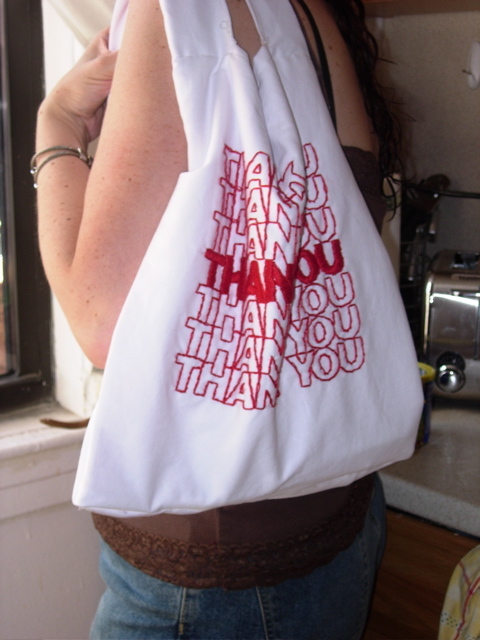 This bag is my entry in the July Whiplash competition. 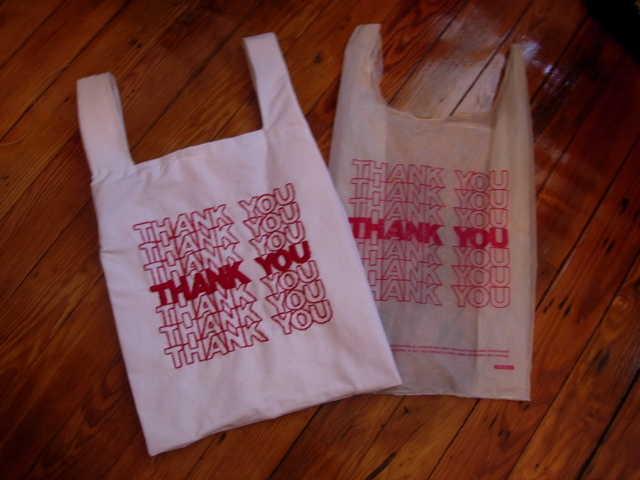 I designed it to be a replica of a typical shopping bag. 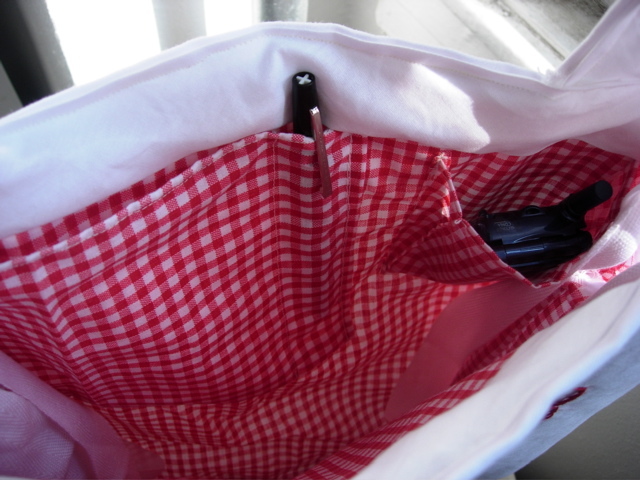 The inside is lined with gingham and has a few pockets for pens, phone, and small items. 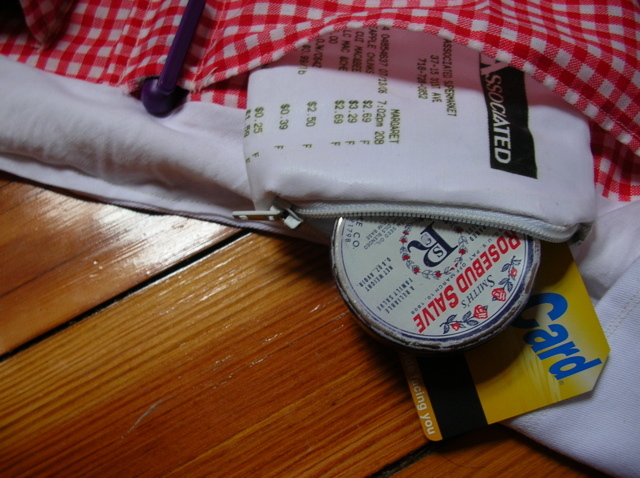 I also made a shopping receipt change purse. 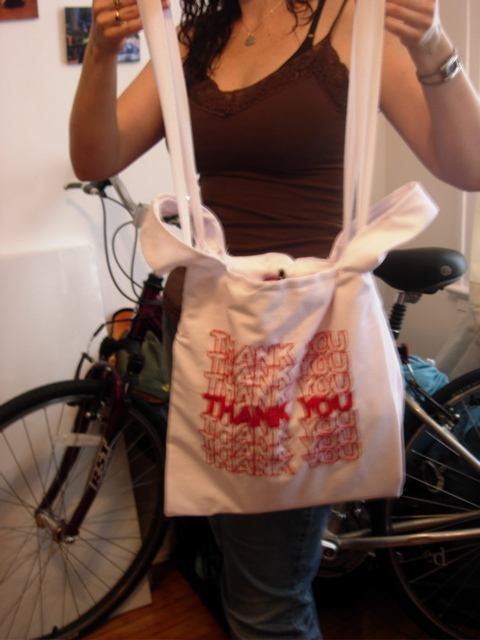 There are two ways to carry the purse: by the fabric handles (left) or by an interior drawstring (right). 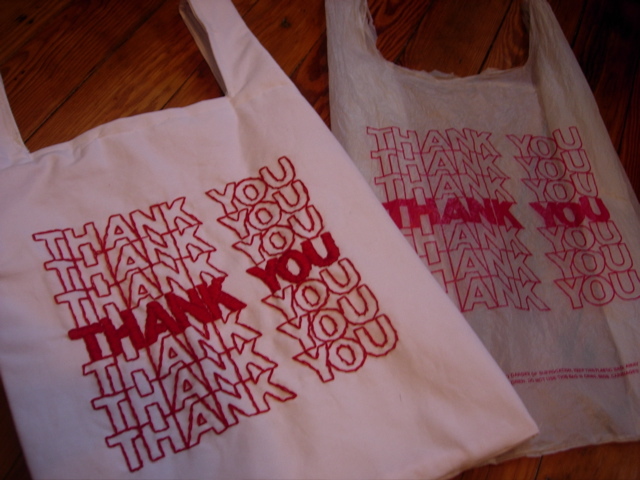 I created the design by scanning a grocery bag into Photoshop, printing the design, and using transfer paper to transfer it to the fabric, which was cut using a grocery bag as a pattern. The design was then embroidered on the bag using a combination of stem and satin stich, before the bag was sewn together. I am entering this bag into the SKILL category (Although I thought it could have gone in the FANCY, since it features embellishment). 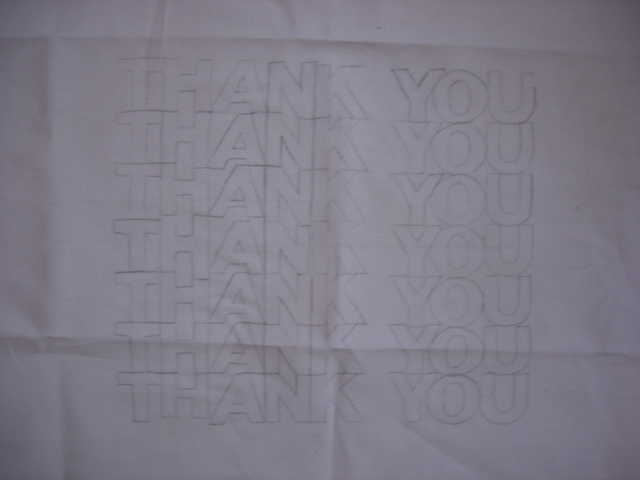 05.15.06. So here is my first entry into the whiplash competition. 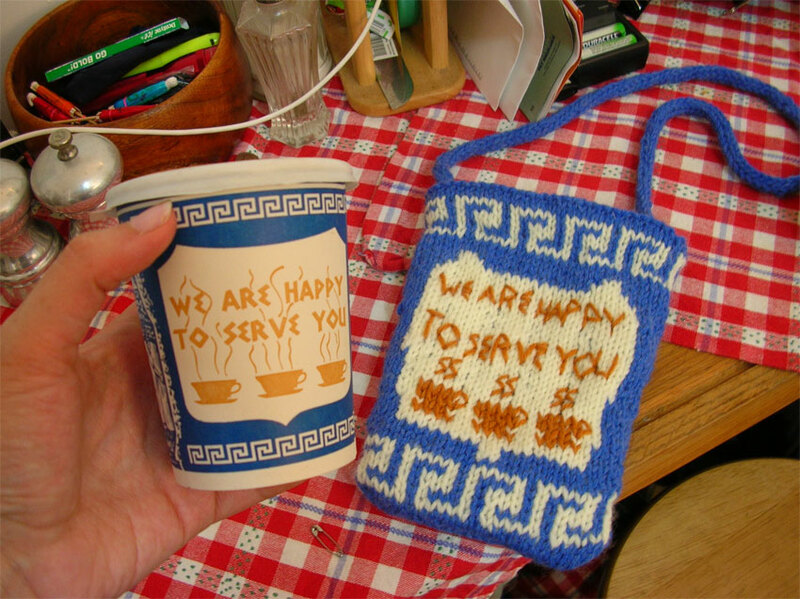 I have always loved the look of the Greek deli cups, there is something so deliciously New York about them. 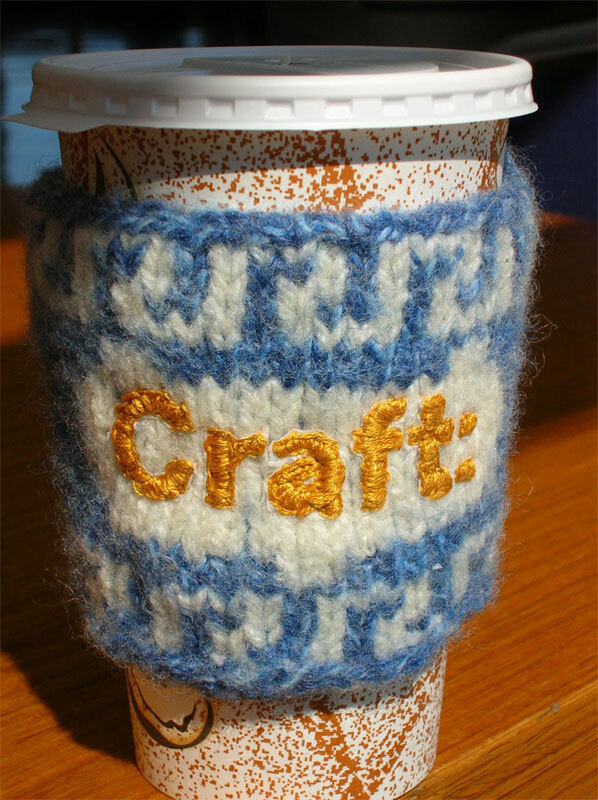 I have been thinking of making a to go cup cozy, or java jacket, or cup sleeve, or whatever you call it for some time. I have come very recently to be a huge fan of whipup and whiplash. This week's theme being yarn, it seemed like the perfect chance for me to jump into the competition. I bought a Greek deli cup, did a little photoshop ninjitsu for a pattern and got to work. Knit with Patons Classic Wool and felted in a pot on my stove. 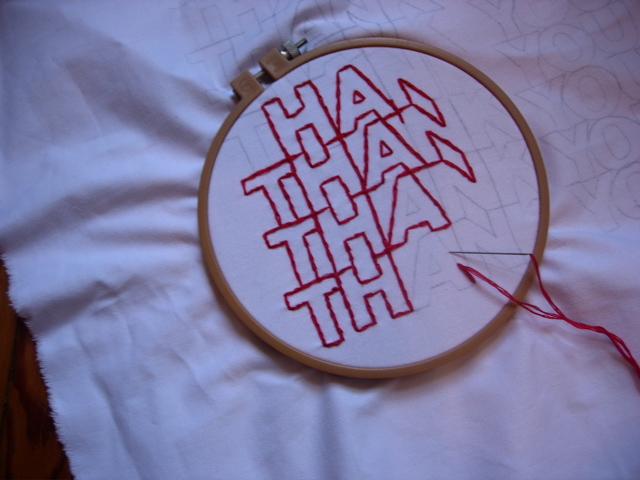 Embroidered it freestyle and brewed a little Darjeeling in the cup. Ready to go on this rainy New York morning. And into the blogosphere. After being a non-blogging participant at whipup.net and the whiplash competition, I feel some strange obligation to extend my participation to blogging. Don't know why. Just some small guilt when people ask for my blog. My guess is this will be a sporadic adventure in the display of my geeky arts side. Although who knows where it might lead. So as thanks for the inspiration I get from other blogs, here I go into the big blue wet place.